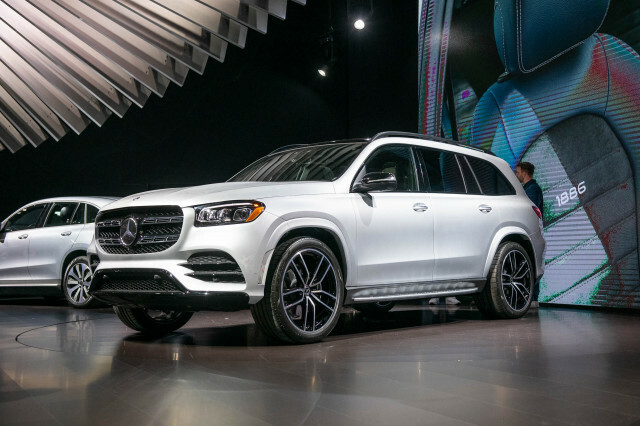 Few they may have been, but most of the new cars revealed at the 2019 North American International Auto Show in Detroit were crucial for their brands. 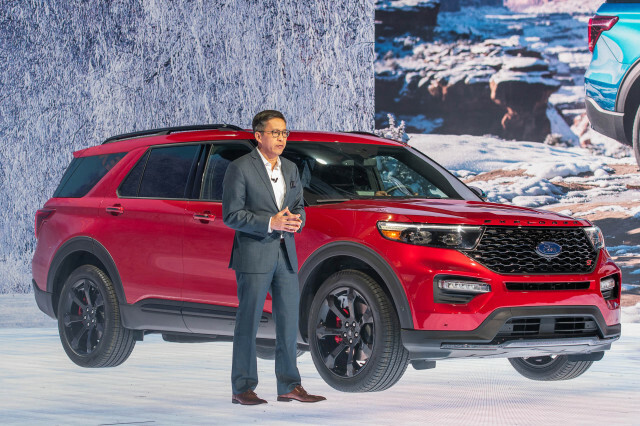 Ford kicked off the morning by taking the wraps off of its latest Explorer, a replacement for its aging family hauler that may have evolutionary styling but is totally different underneath. It looks like the Explorer could be cool again. 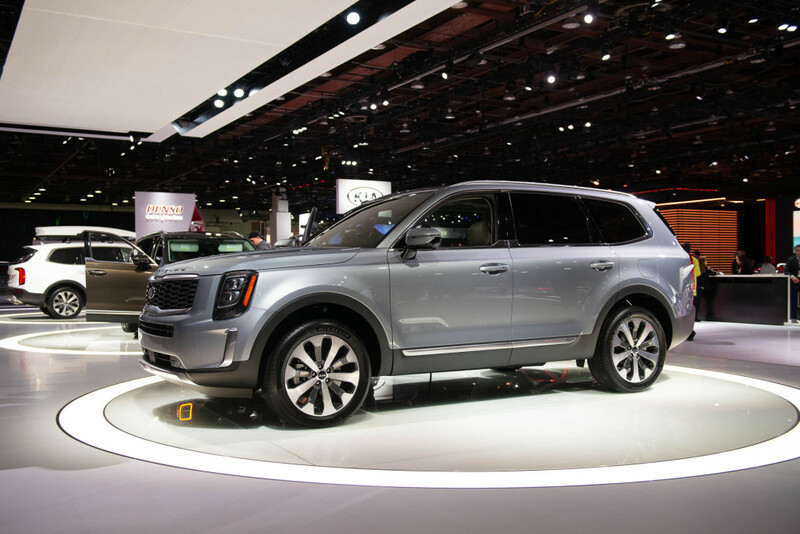 Across the convention hall, Kia trotted out the Telluride, its first big crossover SUV. It may be slightly smaller, but it's arguably bolder, than the Explorer. We look forward to pitting the two against one another soon. 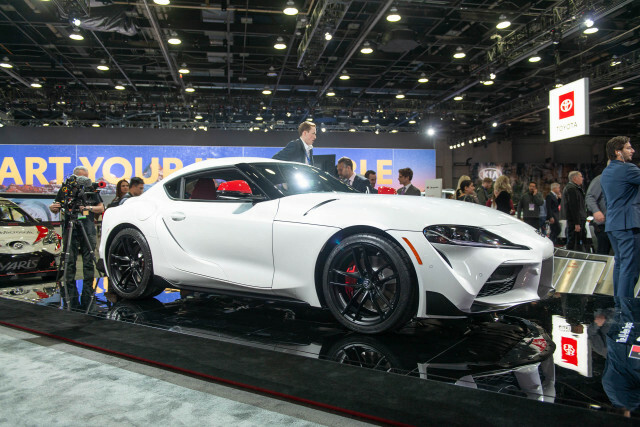 The biggest splashes were the Ram Heavy Duty pickup trucks with otherworldly muscle underhood and the eagerly awaited revived Toyota Supra. Filling a much-needed gap in Cadillac's SUV lineup between its five-seat XT5 and its gargantuan Escalade, the XT6 arrives with proportions inherited from the Buick Enclave with which it shares its platform. It also gets the 3.6-liter, 310-horsepower V-6 engine from the Buick, but it has a more upscale though conservative style. 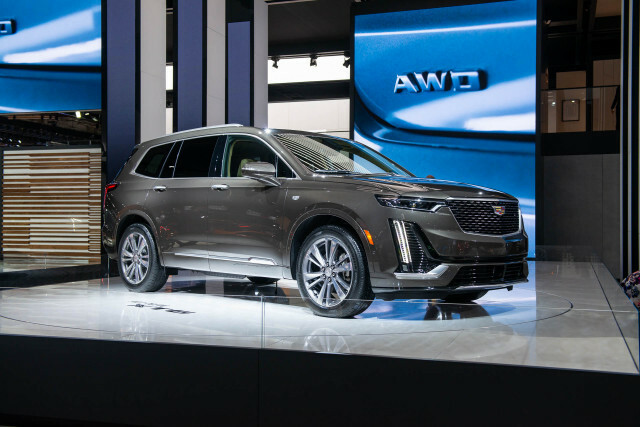 The lingering question: Cadillac needs a three-row crossover SUV, but is the XT6 different enough from its Buick and Chevy siblings to compete with the Lincoln Aviator and Volvo XC90? 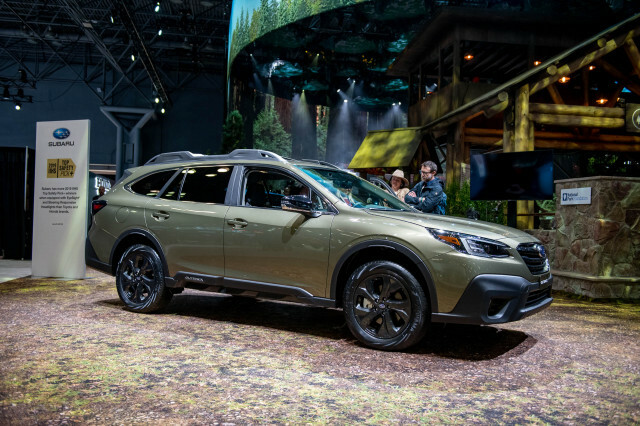 The default family wagon of the 1990s grew long in the tooth in recent years, but it's looking to get its groove back with a 2020 redesign. 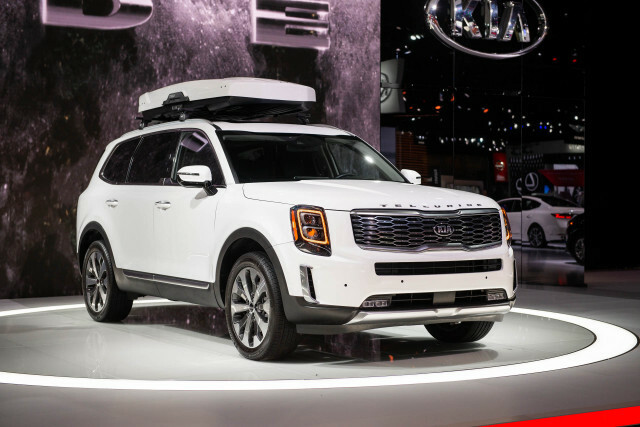 Like the first few Explorers, it now rides on a rear-wheel-drive platform with optional all-wheel drive. 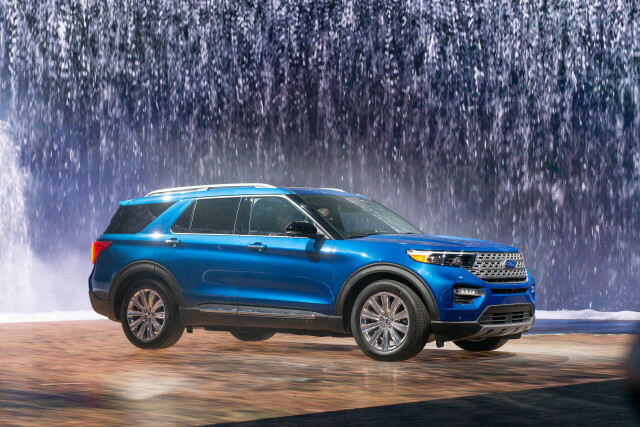 Don't look for it to be a serious off-roader (that's for the upcoming Ford Bronco revival), but the new Explorer looks impressive for family duty. Its interior is spacious and well-wrought, and it has some intriguing infotainment tech. The lingering question: Will the Explorer hybrid be the new fuel-efficiency king among three-row crossover SUVs? With $1.89-per-gallon gas outside the convention center in Detroit, does that matter? 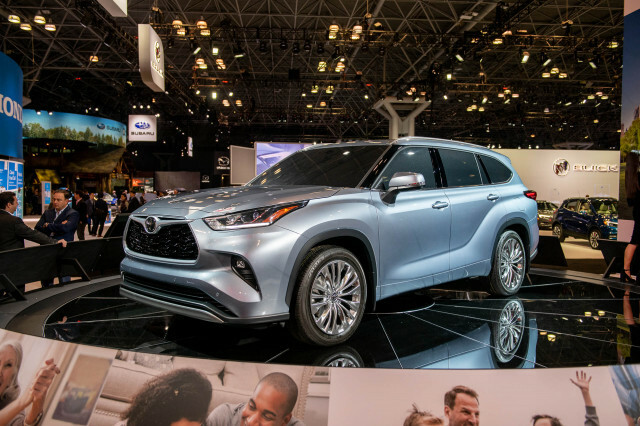 The last mainstream brand without a big three-row crossover SUV finally has one. Enter the Telluride with its bulky, eye-catching styling and soothing, spacious interior. 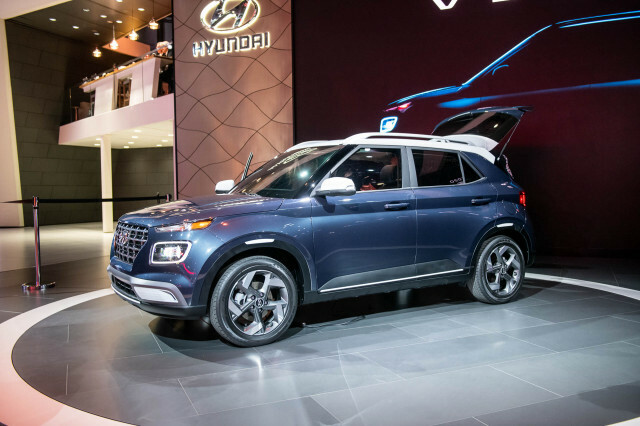 It shares its bones with the Hyundai Palisade, but with muscular, rugged looks. 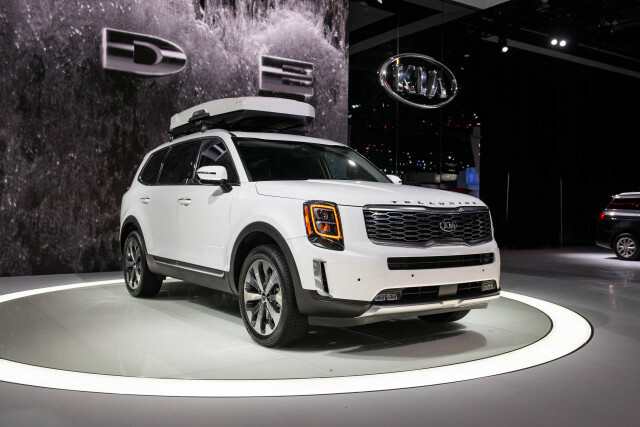 The Telluride doesn't break a lot of new ground, but it may not need to given the massive demand for family haulers. The lingering question: As the final guest to the big three-row party, can the Telluride convince anyone to check it out? 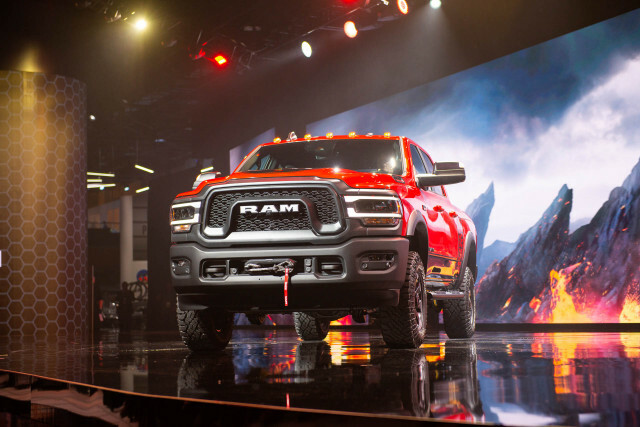 The Ram Heavy Duty pickup trucks burst into the Cobo Hall floor with 1,000 pound-feet of torque and plenty of bravado about their class-leading (for the next few weeks until someone else ekes out more) towing and hauling numbers. The available 6.7-liter inline-6 Cummins turbodiesel engine isn't a stump-puller, it's an earth-mover. The lingering question: Who'll be the first truckmaker to top the Ram HD's impressive torque figure? We doubt it'll take long. After a 21-year hiatus, one of the preeminent sports car names of the 1980s and 1990s is back. 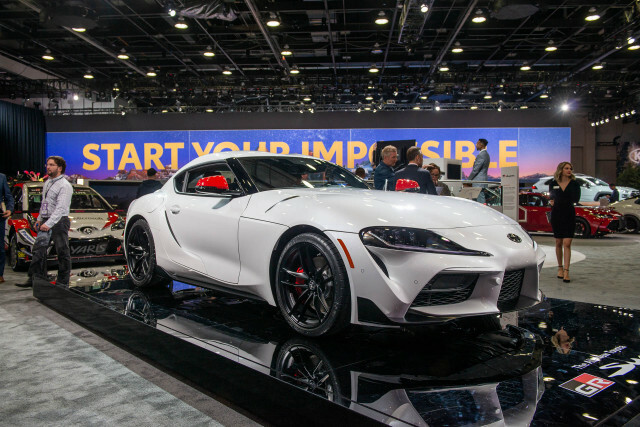 The new sports car has a turbocharged 3.0-liter inline-6 that speaks with a German accent thanks to BMW, which developed its Z4 roadster alongside the Supra hatchback coupe. A turbo-4 is also expected and, while an 8-speed automatic is the only transmission so far, a manual may also arrive. Toyota, you have our attention. The lingering question: Did BMW and Toyota make a good pair to engineer a world-class sports car? It may look different, but the 2020 Passat is like a new jacket over an old shirt. There's something familiar about its still spacious interior, and what we expect is a comfortable ride. Still, we can't help but think that VW could have tried harder to build a mid-size sedan with more pizazz on the modular architecture that underpins its other models. Instead, the automaker restyled last year's Passat. One worthwhile part of the deal: a bump in torque of 23 pound-feet to a usable 207 lb-ft. 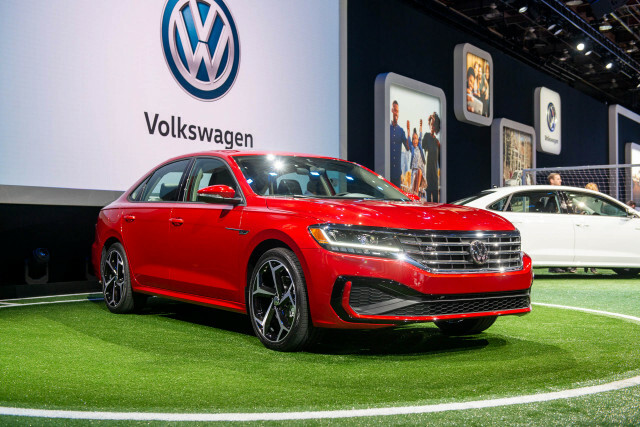 The lingering question: With SUVs en vogue, was VW's decision to save some money by largely re-skinning the Passat rather than redesigning it a prudent one?